The rugby league community is in shock as one of the greatest to ever play the game prepares to hang up his boots. Tributes have flown in for South Sydney, Queensland and Australia star Greg Inglis, who announced his immediate retirement from the game. Dragons skipper James Graham appeared genuinely shocked and emotional when asked about it on Monday morning, praising the leadership and inspiration Inglis has given to millions of fans. 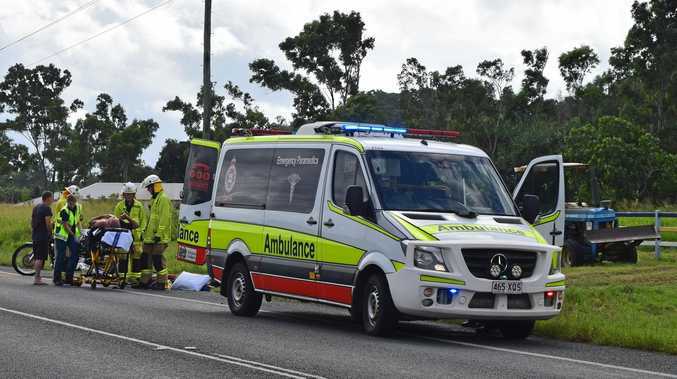 "I can't believe it," the Dragons prop said. "I don't know. Six months ago, seven months ago he was named Australian captain. I think it's a bit of a stark reminder to everyone that things can change very quickly. He deserves better. He's been an inspiration for so many players. "Not everyone gets the fairytale exit from the game. I'm pretty sad for him. "Two weeks ago he was playing against us and he was someone we were talking about in video." 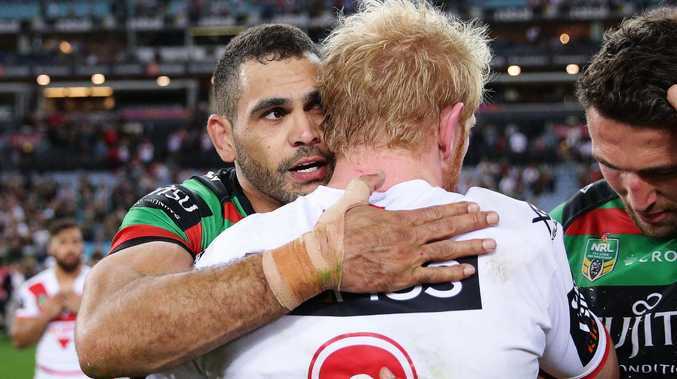 Greg Inglis and James Graham faced off in the 2014 NRL Grand Final. Dragons five-eighth Corey Norman said Inglis remains his favourite player. "Growing up watching him, what he'd done, he's done everything in the game and done it all as centre, winger, fullback, five-eighth, he's done it all. If he decides to hang up the boots, it'll be a sad day for rugby league." Former Manly star George Rose acknowledged the unfortunate timing of Inglis' press conference clashes with the Game of Thrones season 8 premier, but said he would pause it for 'Greggy'. "His physical attributes just felt unfair to play against strength, speed, skill, smarts, power, acceleration, as shown below great agility, he stepped me silly".